Brenda Joyce Patterson is a Fine Arts/Programming librarian, poet, essayist, editor/publisher and public speaker. She is Vice President/Treasurer (2003-present) of the Lakeland-based nonprofit, The Serena Bailey Foundation. She has a BA in Psychology and a MA in Library and Information Science from University of South Florida. Over the last 20 years, Brenda has organized events and programs, which include hosting author appearances, musicians, scholars and local experts, for a three-library public library system. She has worked with commentator Roxane Gay, author Tim Dorsey, and classical musician Evan Drachman as well as poets Nicholas Samaras and Lola Haskins. For 20 years, she has facilitated discussion groups for books and movies. Brenda’s varied selection of programs and events have garnered increasing attendance numbers annually. Most recently, her programs/events attendance numbers have increased from 793 in 2010 to 1442 in 2014. 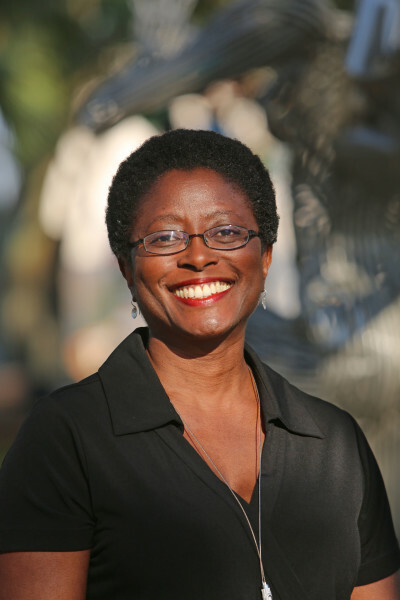 Brenda’s published work includes essays, articles, poetry and fiction. She has performed her poetry in Central and South Florida (Lakeland, Winter Haven, Tampa and Miami), New Orleans, San Francisco, and Washington, D.C. Her travel essay, The Kindness of Strangers, was published in Go Girl! : The Black Woman’s Guide to Travel and Adventure (Eighth Mountain Press, 1997). Most recently her poetry appeared in Vayavya, an art and literary online international journal, and Melancholy Hyperbole, online journal of poetry about longing. Her poetry has also appeared in WordArt 1996, which was judged by poet Robert Morgan, and Poets on the Park anthologies: Poets on the Park Anthology 94, Collection II, Collection III and Collection IV. Brenda studied poetry under poets Phyllis McEwen (1995), Peter Meinke (1996), Lola Haskins (2000) and Nicholas Samaras (2004). Her fiction appeared in the December 2014 issue of Gravel, an online literary journal published by the University of Arkansas at Monticello. Brenda is a former co-editor/co-publisher (1996–1998) of the international literary magazine, Onionhead Literary Quarterly. During her tenure at Onionhead, she worked with author/poet Fred Chappell and poet/novelist Therese Tappouni and published Pushcart Prize-nominated poets Nola Garrett and Corrine DeWinter. For over 20 years Brenda has given talks on authors, literature, poetry and writing. She has spoken at Latt Maxcy Public Library, Larry R. Jackson Branch Library, Polk Community College [now Polk State College] and Southeastern College [now Southeastern University]. Brenda is a member of WOW (Women of Words) with poets Margery Cunningham and KC Jarrett. WOW has given presentations on writing and poetry at Polk Community College [now Polk State College]. WOW has performed their poetry at Polk Community College [now Polk State College], Birchtree Coffee (Lakeland) and Mitchell’s Coffee House (Lakeland). She collaborated with artist Suzanne Roth on an artist’s book, Soothsaying (S. Roth/B. Patterson, 2005), which is in the permanent collection of the Bienes Center for the Literary Arts of The Dianne and Michael Bienes Special Collections and Rare Book Library at the Broward County Main Library/Florida Center for the Book. Her poetry was used in Poetry in Motion, a dance/poetry performance art collaboration between Florida Dance Theatre, Arts on the Park and Poets on the Park in Lakeland, 2005. She collaborated with artist Teza Lord in a performance art installation piece (poetry reading/mixed media sculpture/yoga demonstration) at the first Platform Florida (now Platform Art) in Lakeland, 2003. She performed her poetry with poet Lola Haskins in Tampa and Lakeland in 2000.